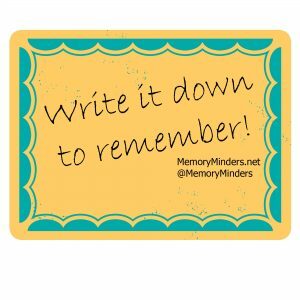 In order to remember something most of us would choose to write it down. But where you write it down makes a difference. How many times have we all written something important down on a random slip of paper, only to lose the random slip of paper-ughh! Being organized in your physical world can help your brain to remember. Paying attention to managing the details of life can do a world of good when helping to recall and retain information. I encourage people to have a go-to notebook with them, in their pocket, purse, vehicle, etc. Write down any information you gather or think of throughout the day in this one place. Then as soon as you get home or at the end of the day, transition anything you wrote in the notebook to where it needs to go-your calendar, to do list etc. Be organized-use a calendar, make to-do lists and then prioritize them. This all seems quite simplistic, but when applied to everyday life, it takes away the stress of having to remember so many details. You just need to know where to look to find out the details. This simple act can be very useful for all of us who need to remember so much, or for those whose memories are not what they used to be. 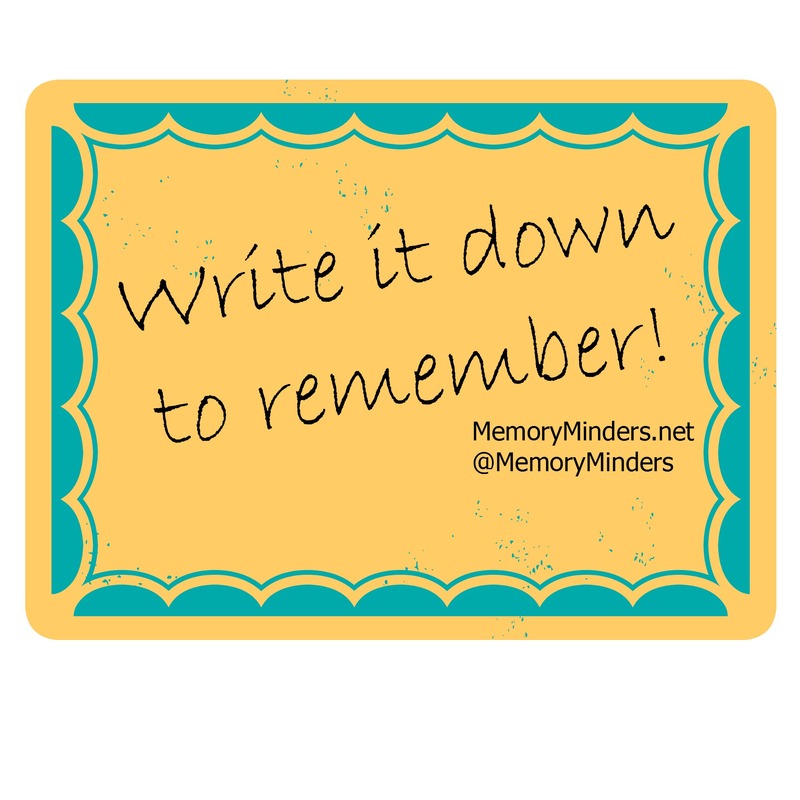 For additional details or more everyday memory strategies, contact MemoryMinders. We love to help you to make your moments memorable. Write it down and remember!